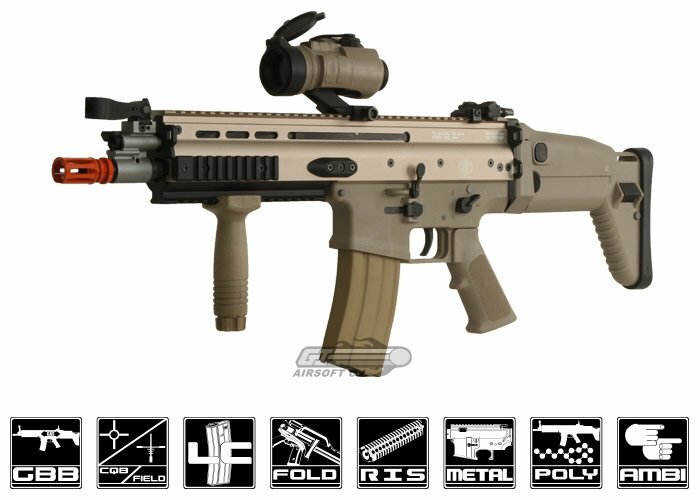 The WE Full Metal FN Herstal SCAR Light Gas Blow Backis the most realistic MK16 replica airsoft gun in the world. 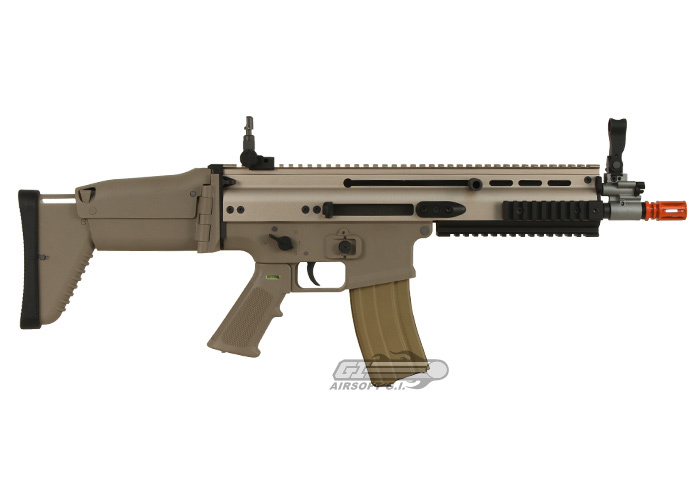 Standard SCAR features include metal flip up front and rear sights. 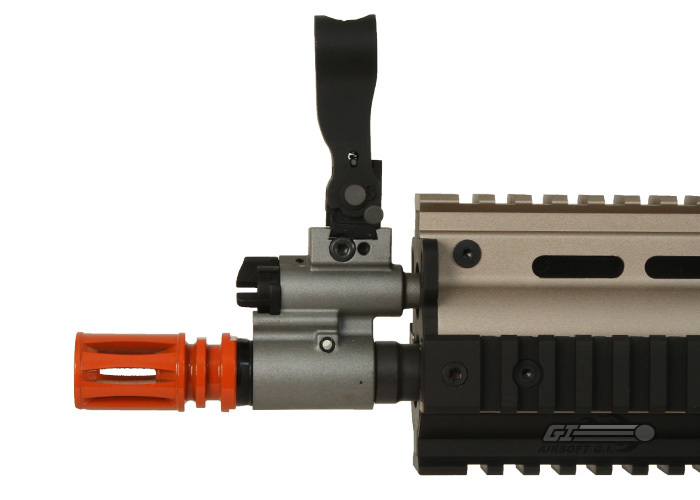 Ambidextrous fire selector and magazine release, the charging handle is not ambidextrous but it can be moved to either side of the gun for the comfort of the shooter. The upper receiver is made of metal, as is the imitation bolt, so the sound when the gun blows back is unlike any other airsoft gun to date. The lower receiver is completely built of high quality ABS plastic, and since there is no motor in the pistol grip it's a 1-to-1 size ratio with a real pistol grip. 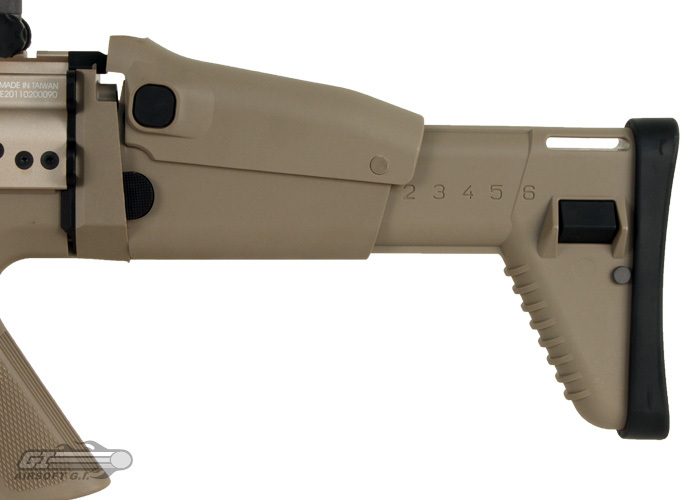 The stock extends, and folds to the side, it also has a cheek riser. The magazine holds 30 rounds and is the essential to the operation of the gun. This new model now even features an open bolt design, yet again adding to the realism. WE is on a roll with these gas blow back designs, it will be interesting to see what they come up with next. 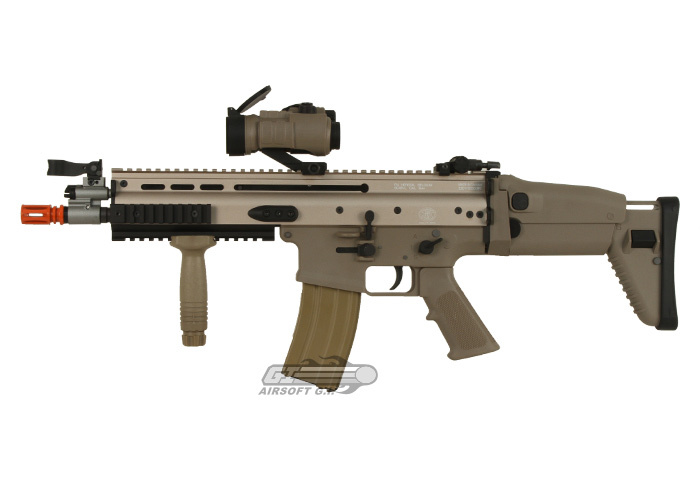 Product does NOT include VERTICAL GRIP or RED DOT SIGHT. Very cool and very iconic for first person shooters out there. 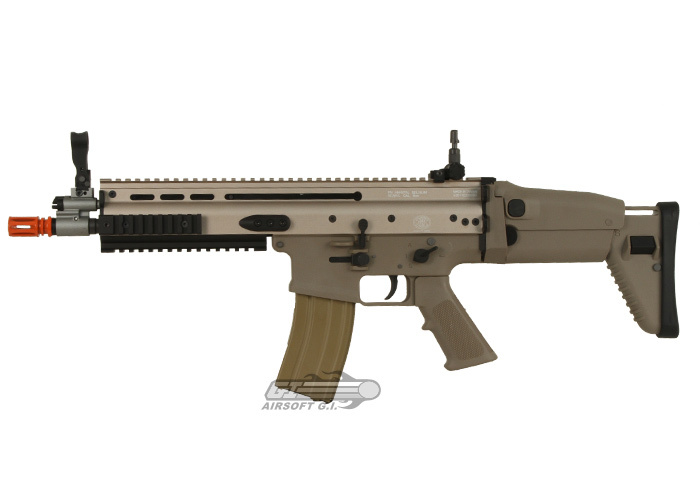 This model of the Mk.16 is a very nice gun and it is great for milsim. It is a good gun but I just could not run with it. The disassembly is very simplistic and it is VERY ambidexterous which is a plus in my book. 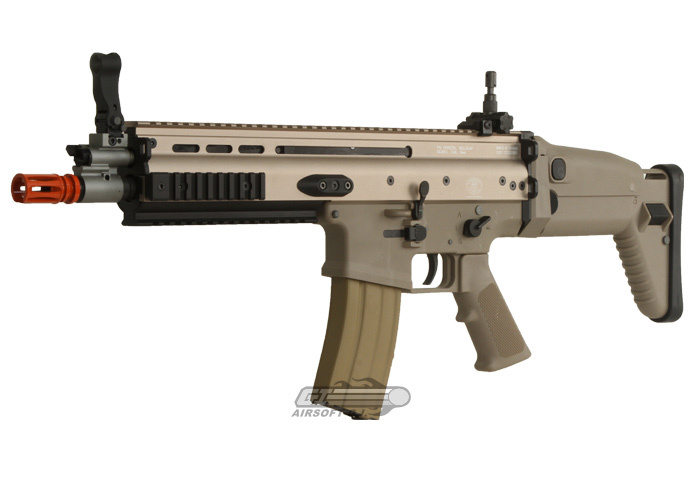 The WE scar l is a fun gun, but has many issues. If you can get the right parts in it though, it is a beast. I'd say it's worth the money. 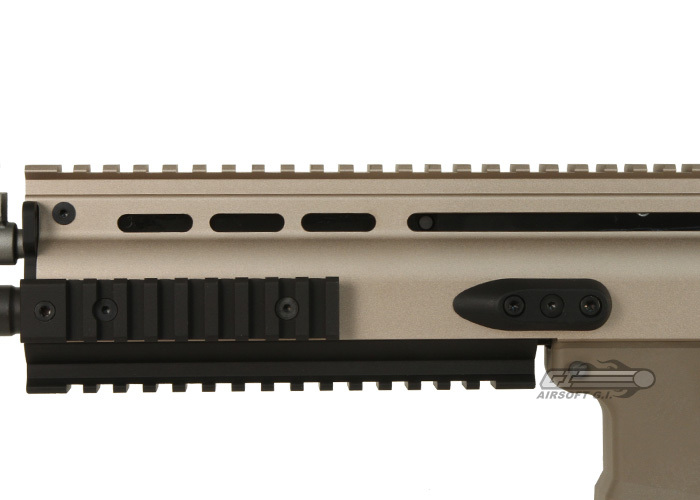 The upper is made from a quality metal. The lower is made out of a very high quality polymer. It comes with a metal flash hider, but is glued on. Very strong recoil, this ends up being a problem over time. It is almost completely ambidextrous. 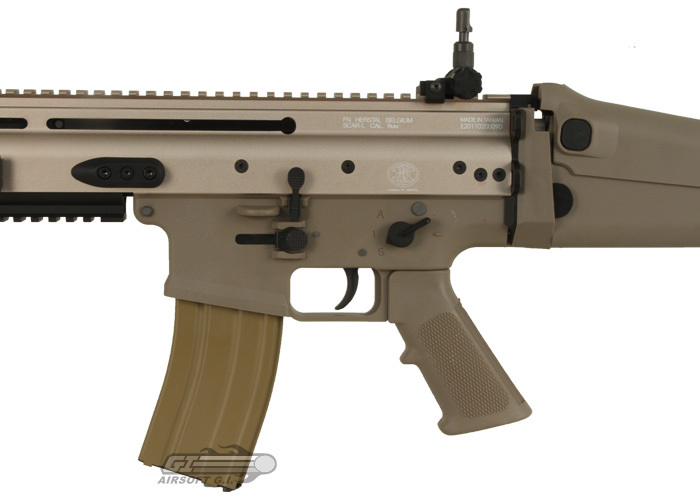 It weights very close to a real scar l.
It is mostly accurate, but looses accuracy at around 150-175 feet. The air nozzle breaks, a lot. My trigger mech broke, I have only used it a few times. The magazines are expensive and usually end up leaking. The bolt carrier chipped in the rear. The stock does not like to stay closed all of the time if you fold it. The bolts and screws come lose frequently, but are held in by springs so you won't lose them. I just picked this gun up about a week ago. So far im in love! The quality of the exterior seems sturdy and well made. The internals are all upgraded from the previous version of this gun, and are sturdy, plus the aftermarket upgrades for the gun are plenty! The magazine's are really well made as long as you take really good care of them (oil lots and properly prepare for storage). Shoots really hard and the recoil is very realistic and feels like shooting a fully auto 22. Over all the gun is great! If your looking for a gbbr that's near perfect out of the box, a ton of fun and good for a intermediate or advanced player this truly is your gun! Looks great and just like the real thing! Perfect weight and realistic recoil. Nothing so far as long as you are willing to take care of the gun and constantly tear down and clean/ oil. What kind of threads does this have? Most airsoft guns should have 14mm counter clockwise threading. I need to know if this can fit any old M4 mag.